You Are Here: Home » Opinion » Opinion: Where is your theology? Opinion: Where is your theology? With the conclusion of the 2018 midterm elections, I have one question, specifically for the faith-based community: Where is your theology? If you conduct a quick Google search you will find out the word “theology” means “the study of the nature of God and religious belief.” If theology is the study of God, then how does an individual apply theology in the real world? How does what we know about our theology affect our personal and political views? Conceivably, what we study becomes a part of our outlook, infiltrates our system of thought and helps to shape our day-to-day life. According to the Pew Research Center (PRC), 80 percent of United States adults believe in God, 56 percent believe in the God of the Bible, and 33 percent of those surveyed believe in a “higher power,” but not the God of the Bible. Christian Crawford currently a senior at Auburn University at Montgomery and a graduate of Clay-Chalkville High School. Whether we want to admit it or not, much of what we believe, and the way in which we vote, has to do with our religiosity. The majority of individuals surveyed by the PRC claim to believe in a god. Of these individuals, 84 percent of Republicans, 72 percent of Democrats, and 76 percent of people with no political party leaning consider religion to be either a “very” or “somewhat” important part of their life. Our study of God, mainly the God we serve or do not serve, influences our morals, values, and belief system. And most assuredly, what we believe impacts how we vote. Therefore, to my Democratic, Republican, and Independent friends, family, and colleagues, I say again, where is your theology? We live in a cultural climate that is not uncommon to man. Division has always seemed to creep into our institutions. Hate has always run marathons across our landscape. Racism has always plagued our societies like a never-ending disease. With these difficult realities in mind, I say again, where is your theology? We should not be surprised by what we see in our nation or our world. Division and dissension are a part of mankind. Trouble will always find its way into the hearts of man, and bad things will always happen as long as this Earth exists. The question now becomes: What should our response be? Should it be to treat your neighbor as yourself and to show mercy and compassion, love and respect, gentleness and kindness? Should your response be to be of good cheer when you face trials and tribulations because your joy does not come from things of this present age? Should your response be to let your light shine brightly in dark places? Should your response be to be alert and vigilant, to be set apart, to be not conformed to the behaviors and actions of this world? The answers are obvious, which is precisely why the question is not, “What is your theology?” but where. Many of us know what our theology should be. We know what our religious literature says about how we should operate in life. And through spiritual revelation, we know how our God has called us to live. But many of us have lost our way. Some of us have lost sight of compassion, love, and respect for our neighbor. Some of us have forgotten “The Golden Rule”. We have misplaced our theology—but there is hope. When politics gets involved, it seems as if answering questions regarding theology becomes difficult for people of faith. It seems as if our knowledge of God begins to take a backseat to the gods of greed, malice, anger, racism, temporary pleasures, and those many other things that take one’s focus off the one true God. This truth should cause us to pause and ponder. Where is your theology? Who is your God? What do you know about him? Would your God be okay with your behavior? Would your God be pleased with how you treat the least of your community? Would your God be satisfied with the way you treat your friends, foes, and other fellows? How has your knowledge of your God influenced your vote and your life? How should it? I ask these questions because it seems as if people of faith can sometimes find themselves expressing their God with their lips, but their hearts are far from that very thing they claim to believe and worship. In America, especially during election seasons, we sometimes present God in two ways: a God of love or a God of hate. Sadly, even those who serve and represent a loving, merciful, compassionate God miss the mark sometimes. And their failure is understandable, for we all are merely human. This dichotomous image of a deity continues to project itself in various forms. For Christians, a misrepresentation of God is toxic to the society we claim to love and desire to reach. Our nation saw these images during slavery, where some who believed in the God of the Bible would use biblical references to subjugate a group of people. Instead of relaying the Words of God in the way they were intended, these enslavers presented apocryphal elements of God’s divine nature and desire, which led to a bloody, bloody war between the free and slave states. We then saw these same misguided “Godly” expressions during the Period of Reconstruction, and then Jim Crow. In today’s political and social climate, we still see the complicated nature of theology play tug-of-war with right versus wrong, good versus bad, love versus hate. With this in mind, I must raise the question once more: Where is your theology? Is your knowledge of God exegetical in that it adequately represents the God you claim to serve? Is it committed to exuding what your God would find acceptable, reasonable, and honorable? Is your knowledge of God eisegesis, in that it has consciously or unconsciously pushed out the core principles and ideals of the theology you claim to know and believe? We should all examine the way we vote, how we treat people, if we support the least of these, and ask ourselves whether or not our actions are in line with our God’s will. Our nation is in trouble. There is hate, division, and intimidation around every corner. And, though these negative and tumultuous elements are not new to our society, I fear that we are on our way to digging a pit so deep, it will be nearly impossible to climb out of in the future. I also fear that people’s theological amnesia has caused this trouble. For generations, counterfeit religion has been used as a tool to control, oppress, and intimidate people. However, I believe that rediscovering proper theology can be the solution to our nation’s problem. Peoples’ knowledge of God is mixed with numerous theological theories, hypothesis, and critical observations. As humans, we may not—and we will not—agree on everything. But one thing we should strive toward is the ability to respect each other, treating each other with dignity, and showing compassion to both our supporters and dissenters. Are we as believers in God doing that in the United States? Democrats, Republicans, and Independents: Where is our theology? Wherever it is, I hope we find it. Our nation’s future – our children’s future – OUR future depends on it. Christian Crawford is from Birmingham, Alabama. 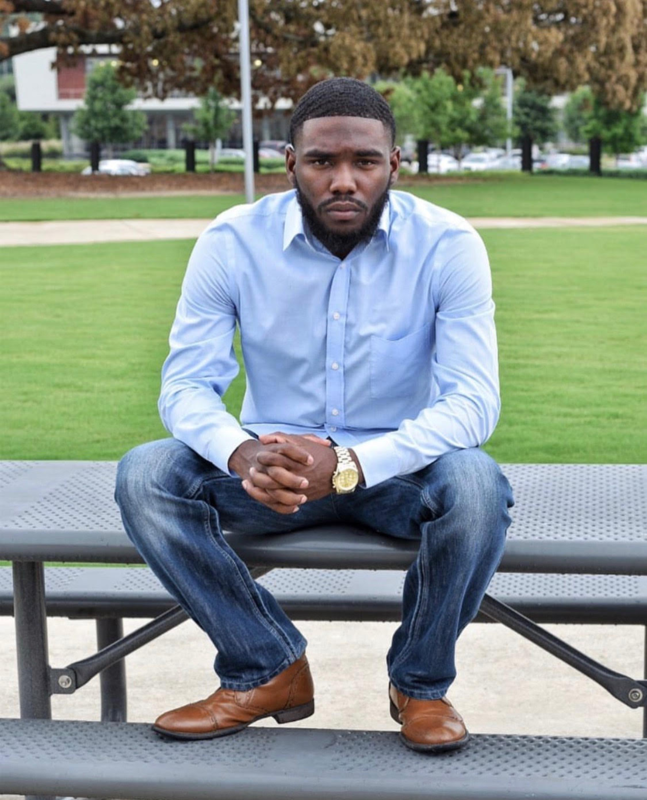 He is a graduating senior at Auburn University at Montgomery and will be receiving a Bachelor’s in Social Science and Liberal Arts in political science in December of 2018. In 2015, Crawford conducted an impromptu pray at his high school graduation that went viral across the country, and the world. 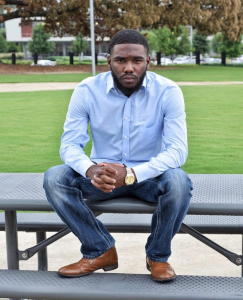 That prayer led him to be featured in numerous news and media articles, and it also allowed him to appear on local and regional news outlets such as “Good Day Alabama” on Fox 6, “Good Morning America” on Fox and Friends, and more. Crawford has been a motivational speaker for eight years.